For cleanup around the home, jobsite or workshop, DeWalt’s 12-Gal. Poly Wet/Dry Vacuum delivers excellent suction power and quiet operation. 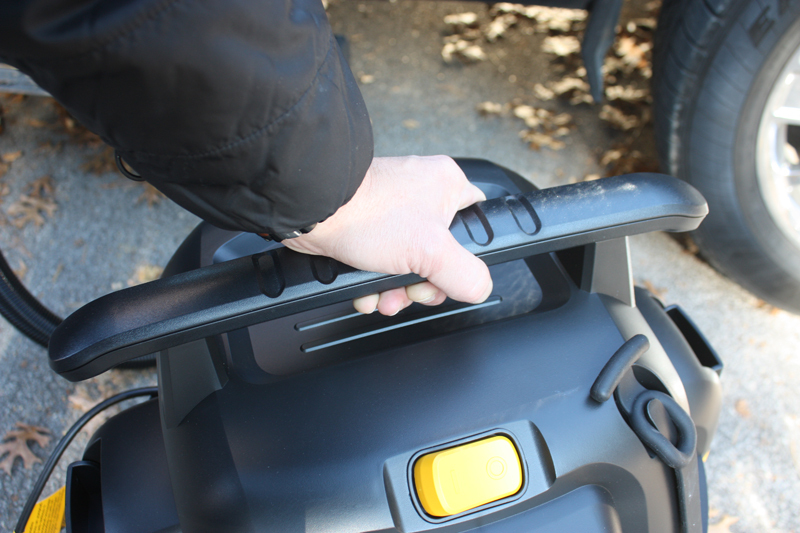 We loved the 12G’s extra-large handle that doubles as a cord wrap. 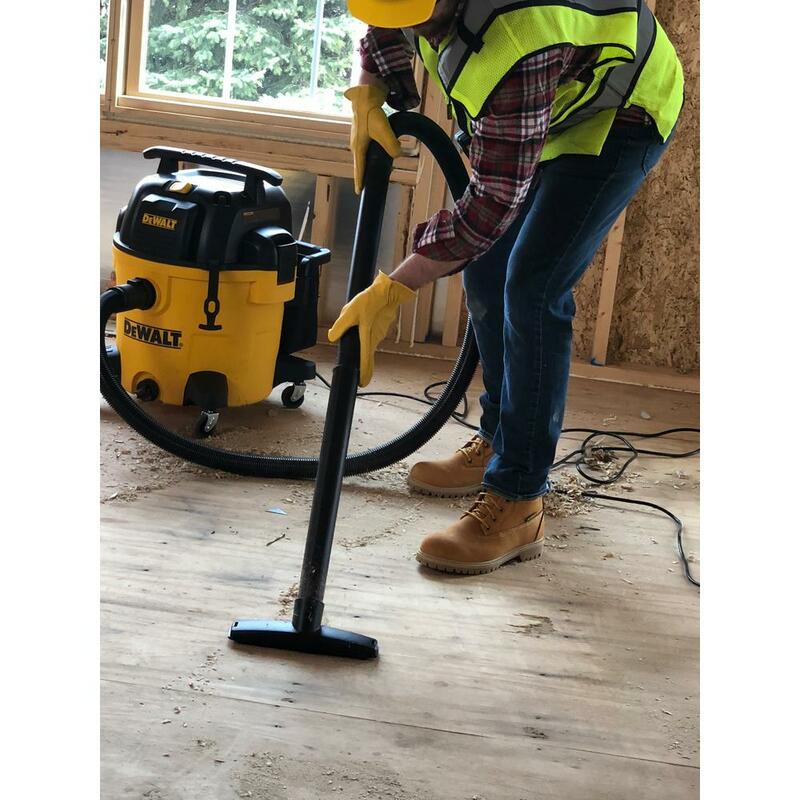 The EHT staff had the opportunity to test the vacuum, and we can report that not only does the motor run more quietly than most vacuums, but the rubber wheels enable it to roll quietly across the floor without excess noise. 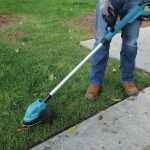 Featuring a single-stage motor and plenty of drum capacity, this powerful shop vacuum reaches 5.5 peak horsepower and comes with a 20-ft. cord and a 7-ft. hose. The unit is easy to assemble right out of the box. 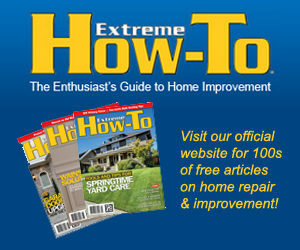 It is designed with a built-in drain and blower port and includes a washable cartridge filter. The vacuum is also packaged with a variety of accessories—a hose, utility nozzle, floor brush, crevice tool, washable cartridge filter, two extension wands, hose adapter, disposable dust bag, and removable accessory bag. The DeWalt 12G is lightweight, easy to maneuver, and makes a fine choice in vacuum for messy spills and big cleanups. 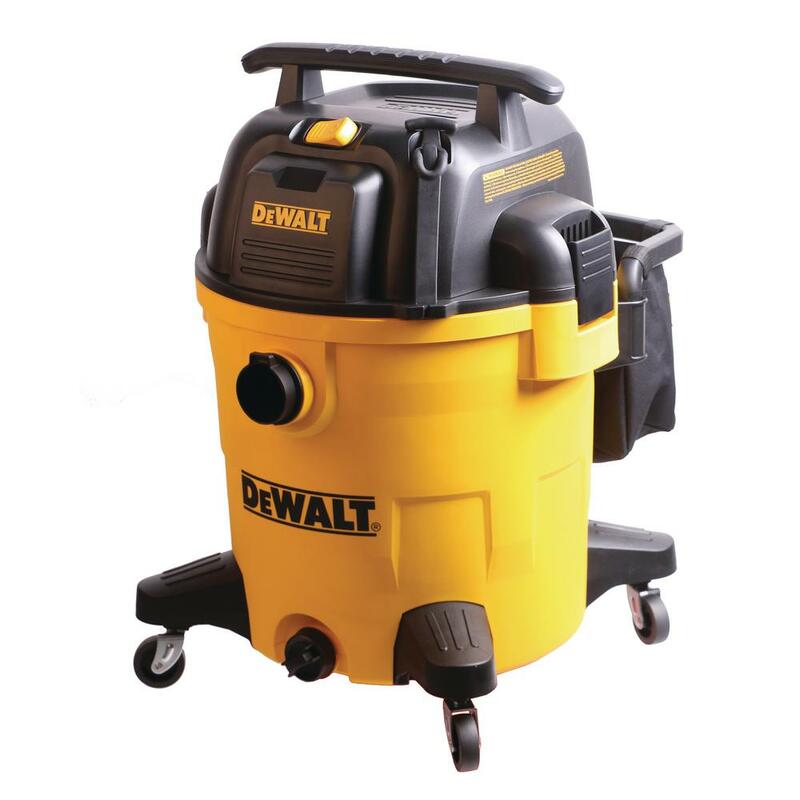 But for smaller applications, DeWalt offers the 4G PolyWet/Dry Vac. 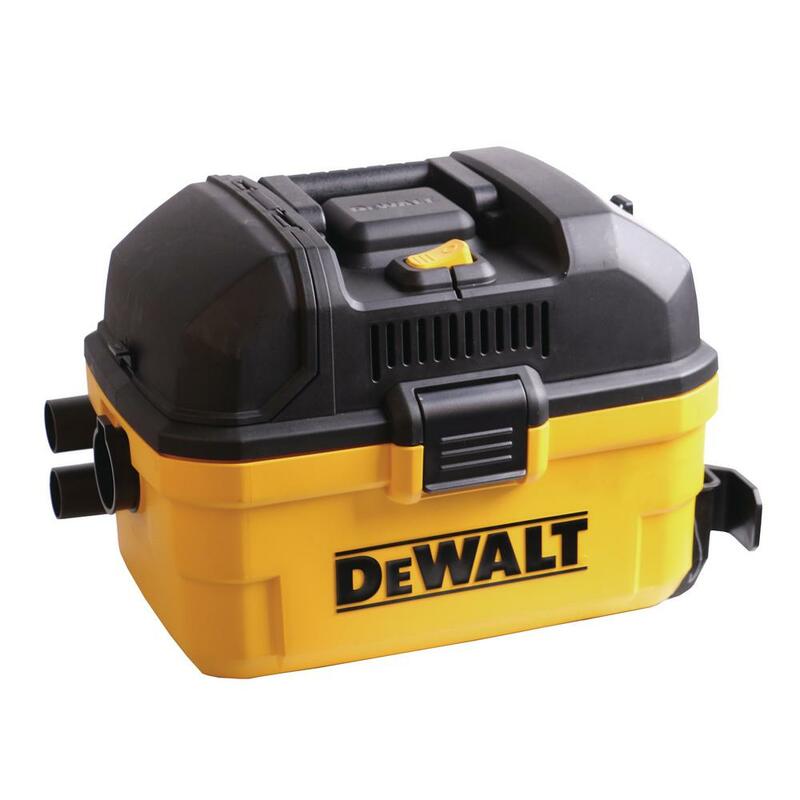 The DeWalt 4G weighs less than 13 lbs. and is shaped like a toolbox, which makes it easy for anyone to grab it by the easy-carry handle and tote it where it’s needed. 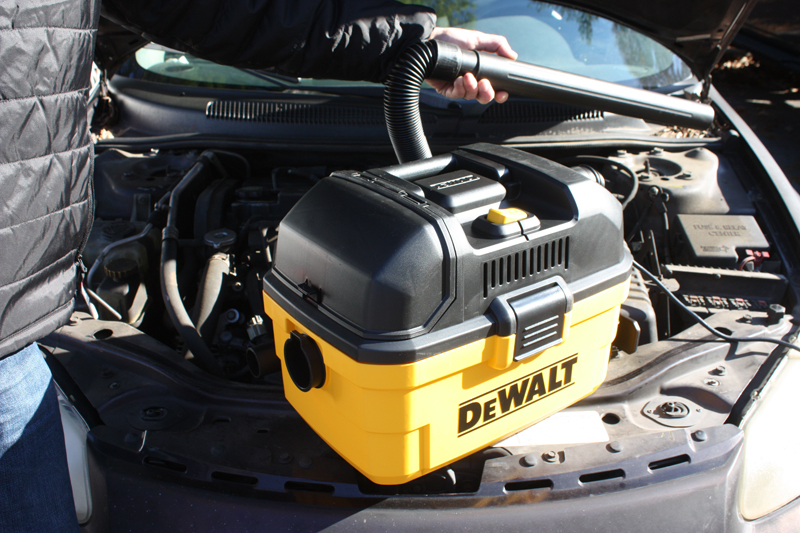 With its powerful 5-peak horsepower motor, this little vac provides surprising suction power for heavy-duty pickup. 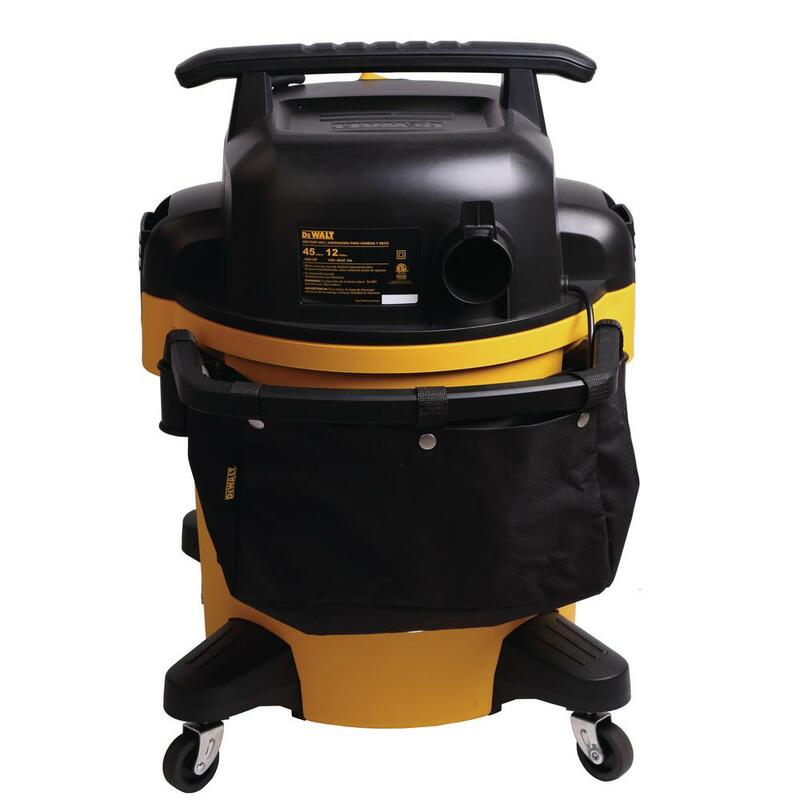 It features a fine-dust cartridge filter for small, dry debris and wet materials, a large on/off switch with a water-resistant design, and a built-in 20 ft. power cord and accessory storage compartment. 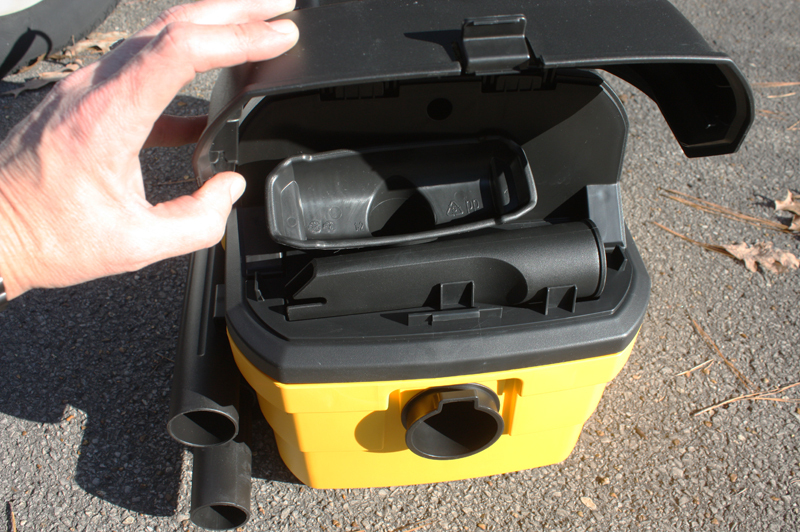 The DeWalt 4G Wet/Dry Vac features a handy built-in accessory compartment. The 4G’s “Ultra-Flexible” 7-ft. hose easily bends a tight radius for maneuvering into cramped spaces to reach nearly any job. The built-in blower port is powerful enough to blow sawdust and debris to clear off a work area. Additional accessories include a utility nozzle, crevice tool, and two extension wands. 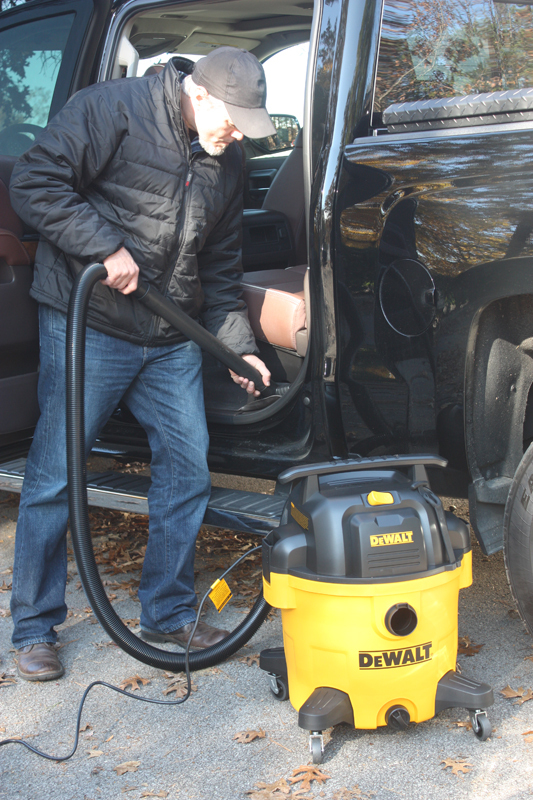 Learn more about DeWalt’s new wet/dry vacs at www.dewalt.com.